The oxygen we breathe comes from the chlorophyll in plants. Chlorophyll is identical to human blood with one exception- the center element in chlorophyll is magnesium, whereas the center element in blood is iron. 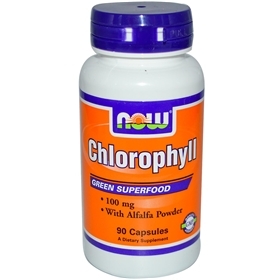 Some researchers claim that chlorophyll has the ability to release magnesium from its center and absorb iron, and thus become hemoglobin, so chlorophyll literally becomes human blood. Having more blood means our body has more ability to disburse oxygen, and thus more energy. Chlorophyll also releases carbon dioxide, which helps prevent disease incubation. So bringing in oxygen and releasing carbon dioxide is the formula for disease prevention and recovery. It also has digestive and antioxidant enzymes, that improves our gut and intestinal health. And like most greens, it has the ability to alkalize our body.